Delta is adding four new weekly flights between its hub in New York and Tel Aviv. These nonstop flights will start on May 26, 2016, just in time for next summer. Tickets are on sale now. With the addition of these new flights, Delta will fly between JFK and Tel Aviv 11 times a week. The Israel-bound flights will leave JFK at 4 p.m. and arrive at 9:50 a.m. the next day. Return flights will leave at 11:50 a.m. and arrive at 4:50 p.m. This move comes a month after American Airlines’ announcement that it will end its service between Philadelphia and Tel Aviv. U.S. Airways flew this route since 2009, but after the recent merger, American decided to discontinue the route for financial reasons. Delta, though, believes that service from the U.S. to Tel Aviv is worth investing in. 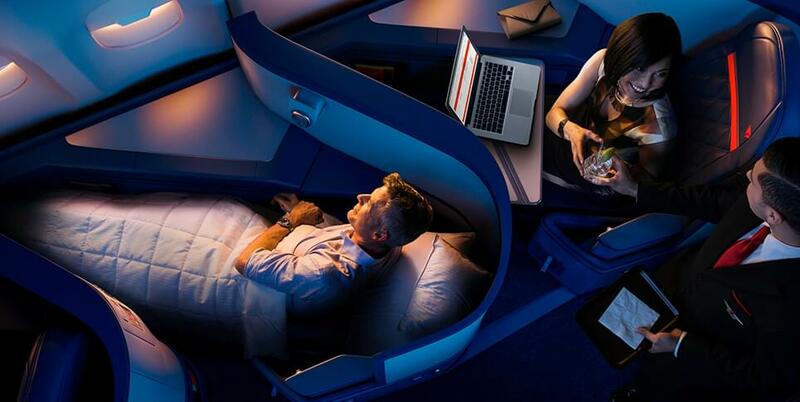 “From next summer, Delta will offer more than 2,300 extra seats between Tel Aviv and New York, one of our largest trans-Atlantic markets, responding to customer demand for increased nonstop service,” said Nat Pieper, Delta’s senior vice president for Europe, Middle East and Africa. Delta will fly its Boeing 777-200ER on this route. It seats 291 passengers, and it’s equipped with WiFi, which is a bonus for travelers who want to stay connected at 30,000 feet. Passengers flying in the Delta One cabin will enjoy lie-flat seats with Westin Heavenly Inflight Bedding and Tumi amenity kits. If you want more room, but don’t have enough miles for Delta One, you might want to consider Delta’s Comfort Plus seats. They offer four more inches of legroom, along with a seat that reclines 50 percent more than its other economy seats. You’ll also have the chance to settle in before everyone else with priority boarding. No matter what class you fly, you can check out the in-flight on-demand entertainment hub and catch up on TV shows and movies. This expanded service comes after Delta’s announcement that it will offer a new trans-Atlantic route from Raleigh-Durham to Paris. Delta has also decided to take on Alaska Airlines on its own turf by adding new flights to Alaska and Hawaii from Seattle. The airline is also expanding with its new partnership with Virgin Atlantic. Starting in May 2016, you’ll be able to fly from Salt Lake City to London, and from New York to Edinburgh.